For shopping fun, head to Fifth Avenue or Tiffany & Co.. Visiting Bronx Zoo and Hamilton Grange National Memorial will get you outdoors. When in New York City, make a side trip to see Edwin B. Forsythe National Wildlife Refuge in Oceanville, approximately 1h 55 min away. There's still lots to do: go for a walk through Central Park, explore the activities along Jacqueline Kennedy Onassis Reservoir, don't miss a visit to The Metropolitan Museum of Art, and admire the natural beauty at Hallett Nature Sanctuary. 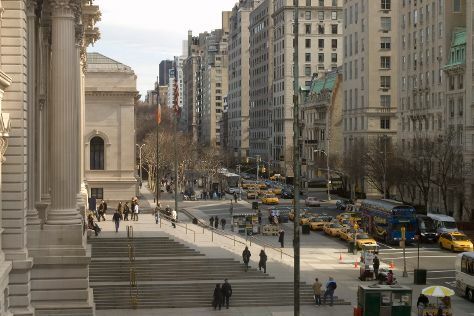 For reviews, ratings, maps, and tourist information, read our New York City trip planner . Rio de Janeiro, Brazil to New York City is an approximately 13.5-hour combination of flight and bus. You can also fly. The time zone difference when traveling from Rio de Janeiro to New York City is minus 2 hours. In January, New York City is cooler than Rio de Janeiro - with highs of 5°C and lows of -5°C. Wrap up your sightseeing on the 19th (Sat) to allow time to travel to Washington DC. On the 20th (Sun), hunt for treasures at Eastern Market, examine the collection at National Air and Space Museum, and then explore the world behind art at National Gallery of Art. Get ready for a full day of sightseeing on the next day: tour the pleasant surroundings at National Zoological Park, then explore the activities along Tidal Basin, and then view the masterpieces at Madame Tussauds DC. To see other places to visit, reviews, maps, and other tourist information, use the Washington DC trip builder website . Getting from New York City to Washington DC by flight takes about 3.5 hours. Other options: take a train; or drive. In January, daytime highs in Washington DC are 7°C, while nighttime lows are -1°C. Wrap up your sightseeing on the 21st (Mon) early enough to travel to Honolulu. Visiting Waikiki Beach and Manoa Falls will get you outdoors. Do your shopping at Ala Moana Center and Polynesian Cultural Center. Venture out of the city with trips to Pu’u O Mahuka Heiau State Monument (in Pupukea) and Sunset Beach Park (in Haleiwa). The adventure continues: trek along Diamond Head State Monument, contemplate the waterfront views at Hanauma Bay Nature Preserve, admire the natural beauty at Foster Botanical Gardens, and pause for some photo ops at Queen Liliuokalani Statue. To see maps, other places to visit, reviews, and more tourist information, read our Honolulu trip planning website . Traveling by combination of subway, bus, and flight from Washington DC to Honolulu takes 13 hours. Alternatively, you can fly; or do a combination of train and flight. The time zone difference when traveling from Washington DC to Honolulu is minus 5 hours. Plan for warmer temperatures traveling from Washington DC in January, with highs in Honolulu at 32°C and lows at 22°C. Wrap up your sightseeing on the 26th (Sat) to allow time to travel to Wailea. Wailea is a census-designated place (CDP) in Maui County, Hawaii, United States. Shop till you drop at Sweet Paradise Chocolatier and The Shops at Wailea. Visiting Wailea Beach and Ulua Beach will get you outdoors. Change things up with a short trip to Pools at Ohe'o in Haleakala National Park (about 1h 20 min away). There's still lots to do: stroll through Makena Beach, experience rural life at Kula Country Farms, and enjoy the sand and surf at Keawakapu Beach. To see traveler tips, reviews, ratings, and tourist information, you can read our Wailea holiday planner . Traveling by combination of flight and taxi from Honolulu to Wailea takes 3 hours. Alternatively, you can do a combination of flight and car. In January, daily temperatures in Wailea can reach 32°C, while at night they dip to 20°C. Finish up your sightseeing early on the 29th (Tue) so you can travel to Volcano. Shop till you drop at Volcano Art Center and Big Island Bees. 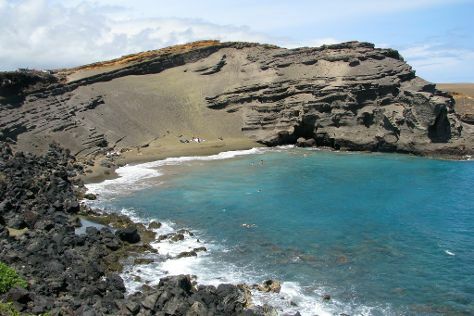 We've included these beaches for you: Papakōlea Green Sand Beach and Punalu‘U Beach. Explore Volcano's surroundings by going to Hilo (Liliuokalani Gardens, Akaka Falls State Park, & more) and Pu'uhonua O Honaunau National Historical Park (in Honaunau). There's more to do: trek along Kilauea Iki Trailhead and cruise along Devastation Trail. Take the guesswork out of planning a Volcano vacation by using our trip itinerary maker. Traveling by combination of taxi, flight, and bus from Wailea to Volcano takes 3 hours. In January, plan for daily highs up to 32°C, and evening lows to 20°C. Finish your sightseeing early on the 1st (Fri) to allow enough time to travel to Lanai City. Kick off your visit on the 2nd (Sat): view the masterpieces at Mike Carroll Gallery, then look for all kinds of wild species at Lanai Cat Sanctuary, and then kick back and relax at Hulopoe Beach. On the next day, stop by The Local Gentry, then steep yourself in history at Garden of the Gods, and then stroll through Shipwreck Beach. To see maps, photos, reviews, and more tourist information, use the Lanai City trip itinerary builder tool . Use the Route module to find suitable travel options from Volcano to Lanai City. When traveling from Volcano in February, plan for little chillier days in Lanai City, with highs around 28°C, while nights are about the same with lows around 19°C. Finish your sightseeing early on the 3rd (Sun) to allow enough time to travel to Los Angeles. Take a break from the city and head to Venice Beach and Boardwalk and Bronson Caves. For shopping fun, head to Bergamot Station or Montana Avenue. Get out of town with these interesting Los Angeles side-trips: Disneyland Park (in Anaheim) and Santa Monica (Santa Monica Mountains & Third Street Promenade). There's lots more to do: don't miss a visit to Abbot Kinney Boulevard, buy something for everyone on your list at The Grove, appreciate the extensive heritage of Santa Monica Pier, and admire the striking features of Walt Disney Concert Hall. To find other places to visit, reviews, photos, and more tourist information, you can read our Los Angeles online trip itinerary maker . The Route module can help you plan travel from Lanai City to Los Angeles. The time zone difference moving from Hawaii Standard Time to Pacific Standard Time is 2 hours. Expect slightly colder temperatures when traveling from Lanai City in February; daily highs in Los Angeles reach 25°C and lows reach 12°C. Finish your sightseeing early on the 8th (Fri) to allow enough time to travel to Miami. Shop till you drop at Lincoln Road and Collins Avenue. You'll get in some beach time at South Beach and Fort Lauderdale Beach. 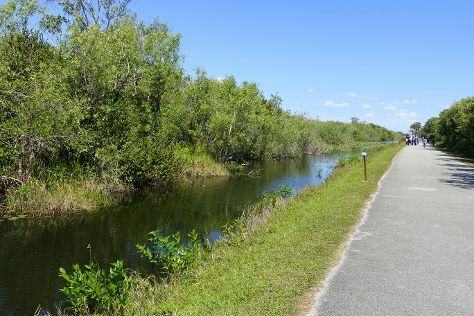 Venture out of the city with trips to Bob Roth's New River Groves (in Davie) and Shark Valley (in Everglades National Park). Next up on the itinerary: get a taste of the local shopping with Aventura Mall, buy something for everyone on your list at Village of Merrick Park, make a trip to Bayside Marketplace, and wander the streets of Ocean Drive. For reviews, maps, photos, and more tourist information, refer to the Miami road trip planning tool . Fly from Los Angeles to Miami in 7 hours. Alternatively, you can do a combination of flight and bus; or drive. Traveling from Los Angeles to Miami, you'll lose 3 hours due to the time zone difference. Prepare for somewhat warmer weather when traveling from Los Angeles in February: high temperatures in Miami hover around 30°C and lows are around 21°C. Wrap up your sightseeing on the 12th (Tue) early enough to drive to Orlando. Get outdoors at Discovery Cove and Disney's Animal Kingdom. Have a day of magic on the 13th (Wed) at Walt Disney World Resort. To see photos, traveler tips, reviews, and other tourist information, read Orlando day trip app . Traveling by car from Miami to Orlando takes 4 hours. Alternatively, you can take a bus; or take a train. Expect a bit cooler evenings in Orlando when traveling from Miami in February, with lows around 15°C. Finish your sightseeing early on the 15th (Fri) so you can travel back home.